There seems to be as many online text editors as there are stars in the sky, which can be helpful or a curse. Each has their strengths and weaknesses. Hemingway Editor strives to help you become a better writer. You can either write into the editor or copy and paste from another document. The Hemingway Editor will then give you a reading grade level along with hints on how to improve your writing. 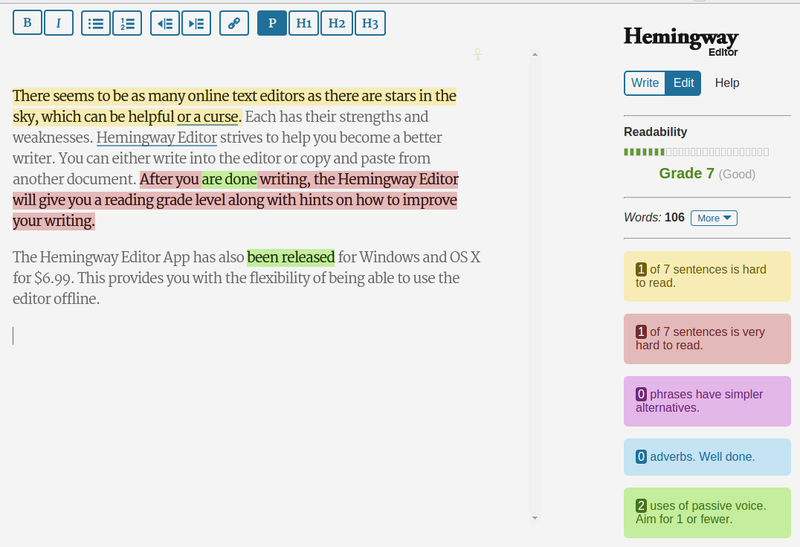 The Hemingway Editor App has also been released for Windows and OS X for $6.99. This provides you with the flexibility of being able to use the editor offline.